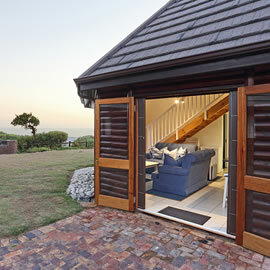 Welcome to Brenton on Sea Cottages. 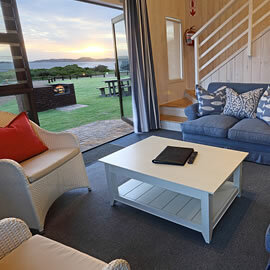 We would like to ensure that your stay is as comfortable and memorable as possible. When I got word that this piece of paradise was for sale, all sleep took a backseat until the property was registered and secured for generations to come. Some places in this world are just irreplaceable and beautiful. We feel so privileged to share all this with you!!! Fortunately for us we inherited a team with the resort that was totally bought into the resort, and the service levels expected from them. Since date of registration in October 2004 we experienced a minimal turnover of staff. Any visitor can expect and enjoy the services of our experienced team. Our whole team was devastated after the recent tragedy, where 13 of the 21 chalets of our resort was destroyed by a fire that raged through the greater Knysna area on the 7th of June 2017. 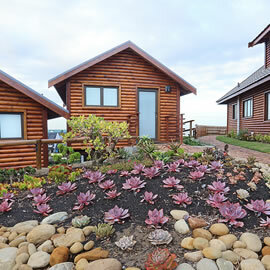 True to their character they met the challenge of rebuilding and upgrading our resort head-on. From devastated people with dull eyes, they are beaming with pride and enthusiasm when we did planning and watched our resort rise again! 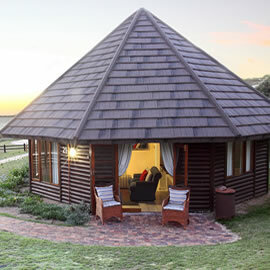 Well appointed thatched log chalets ideal for families and friends. 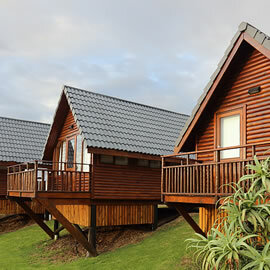 The cabin has a double bed or twin beds on request. Brenton on Sea Brenton Beach, according to all who visit, claims it is on the top of the list of the most beautiful blue flag beaches around. 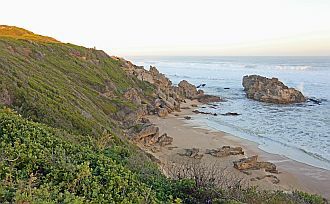 Situated near Knysna Western Heads at Brenton-on-Sea, its spectacular views and breathtaking sunsets are something to be admired. Go home enriched with unforgettable memories and great stories to tell. 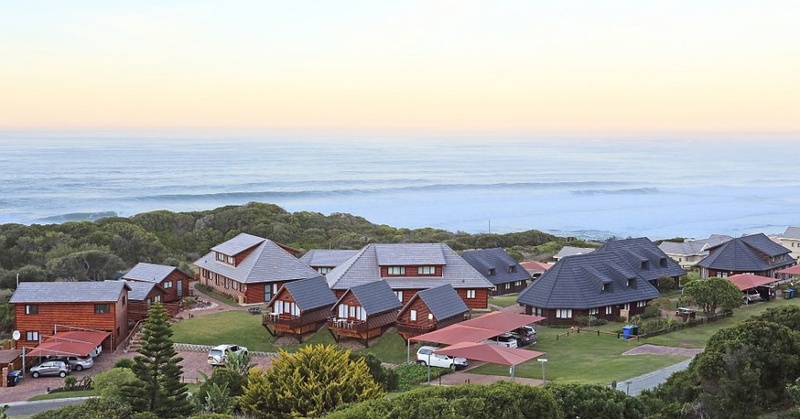 Brenton on Sea is situated on the scenic Garden Route coast line and nestles between the Indian Ocean and the hills of the Western Head of Knysna's Estuary, a 16 km drive from Knysna. 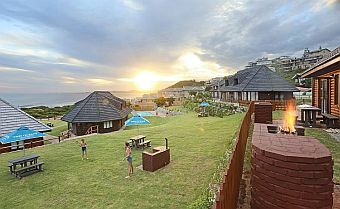 It's the perfect base and safe haven from where you can explore the treasures of the Garden Route. Why visit Knysna in Winter? 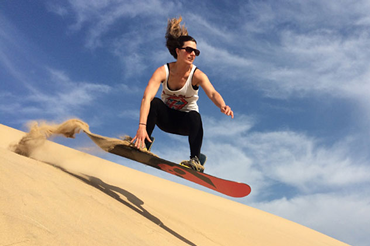 When we think of winter in the Garden Route, we think of cooler days, fewer crowds and cheaper accommodation rates. 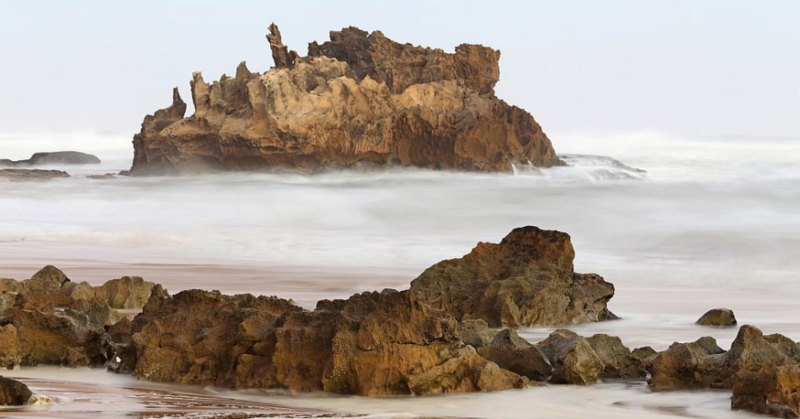 The winter months along the Garden Route are generally temperate and windless, and this means when it’s not too chilly you can enjoy its beaches and wild areas right through the colder months, The average maximum temperature during the winter months ranges in the area of 16 °C to 22 °C. Knysna stays green in all seasons, and its temperate climate makes it a tourist destination all year round. The forest, rivers, estuary, and ocean surrounding the town are dotted with hiking trails and plenty of opportunities for outdoor activities. 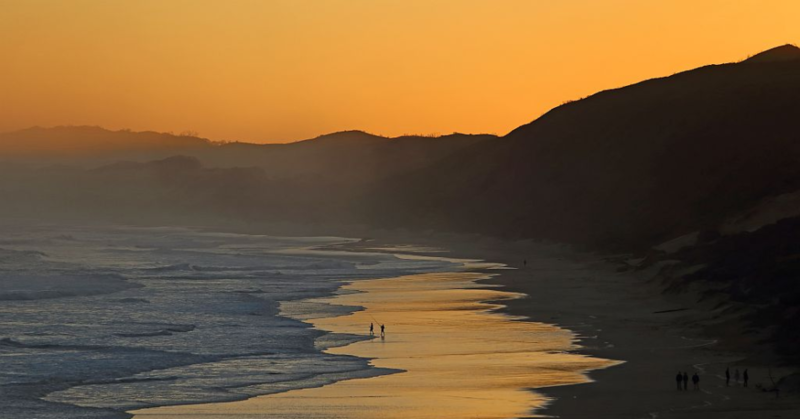 Hikers, golfers, runners, kayakers, and fishermen are known to be particularly fond of Knysna in winter time. Whale season is from July to October and the Garden route has some wonderful viewpoints to watch these gentle giants play in the sea.